I had a thermal printer for a while now, but never used it as part of a project. Recently, I purchased the new Raspberry Pi Touch Screen and decided to make a kind of photo booth. The touch screen would be used for the user input, instead of using (mechanical) buttons. If the user is satisfied with the picture, it can be printed on the spot by the small printer. It’s certainly not a new idea, but I thought it would be a fun little project to try out. For this project, I ended up using a Pi 2. Originally, I tried with the A+, but some software components failed to install (more on that in the “Kivy” paragraph). Getting the OS image on a microSD card can be done in several ways depending on your own operating system. In my case, in OSX, I used “dd” to get the image on the micro SD card. Once the image has been written to the microSD card and the card has been unmounted, it can be removed from the PC and inserted in the Raspberry Pi. Getting wifi to work on the Pi is another one of those plug & play things. Just connect the wifi dongle, select the access point you wish to connect to in the desktop environment and enter the password. That’s all there is to it. No photo booth without a camera, right? Let’s see how to connect and enable the camera. To connect the camera to the Pi, open the CSI slot located near the ethernet port and ensure the camera’s flex cable is inserted with the exposed contacts facing away from the ethernet port. By default, the camera support is disabled. To get the camera to work, support needs to be enabled using the “raspi-config” tool. A menu will appear. Select option 5: “Enable Camera”, and in the following step, select “Enable”. Reboot the Pi. 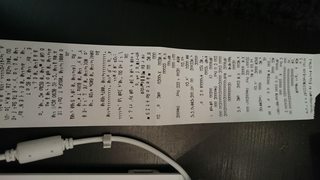 To set up the printer, a complete guide is available over at Adafruit (https://learn.adafruit.com/pi-thermal-printer/overview), only a few steps are relevant for this project though and I will highlight them in the next paragraphs. To easily connect an external power supply, I cut off one end of the provided power cable and screwed on a female DC barrel jack connector. The data cable, even though not ideal, can be connected to the Raspberry Pi’s GPIO. Careful!, the the printer’s TX pin (RX on the Pi’s GPIO) should either be disconnected or have a 10k resistor added to compensate for the level difference (5.0V vs 3.3V). You’ll notice I moved the GND jumper wire from the touch screen to another GND pin, in order to accommodate the printer’s data cable. Start by installing the necessary software components. In the cmdline.txt file, remove references to ttyAMA0 to avoid conflicts with the printer on the serial interface. Download the Adafruit python library for the printer, containing some example code. After the Pi has rebooted, it should be possible to make a test print. I originally used the Raspberry Pi A+. However during the Cython installation step, it runs out of memory and starts swapping. The installation never finishes as the kswapd0 process takes 100% CPU. Using the Raspberry Pi 2, no problems were encountered. With all individual components working, it’s time to move on to the project specific topics. The code is based on Matt Richardson’s example application, which was then adapted to suit my needs. In addition, Adafruit’s thermal printing python library was added to have printing support as well. I’ve added comments in the code to make easier to understand. For the frame, I picked something simple: a wooden board holding all the components in place. The result would be a flat and portable photo “booth”. I started by using some tape to draw on and see how the result would be. Everything looked good, so I started cutting and drilling. A bit of sanding was required to make everything fit. Hope you like the project! Pingback: How to make a photo booth with a thermal printer and #RaspberryPi #piday @Raspberry_Pi #iLuvPi2 « Adafruit Industries – Makers, hackers, artists, designers and engineers! What did you use to mount the 7″ display to the board? Looks like custom plastic? I’ve been contemplating what to use to mount the 7″ for another project of mine. I was considering erector set pieces or something similar. Nice post about “Raspberry Pi Photo Booth”. But really this is effective and work? As demonstrated in the video, it works 🙂 I’m not sure what you mean by effective though. At this Point everything is working but I am missing ins thing. I like to Show a Countdown … For example counting from 10 to 0 before The Image is taken. I dont Know how do Display a Countdown in kivy in de Main Screen or maybe on a Popup. Do you have an Idea? Maybe you cam edit this in your Code? A countdown sounds interesting. I don’t know how to do it in kivy, so I would have to have a look on how to do it. I suppose it should be that hard, having a function triggered when the “photo” button is pressed that decreases a counter variable and refreshes the screen. i am graduating student, and our thesis project is about “assessment kiosk machine” we use raspberry pi 2b, thermal printer, touchscreen, and coin acceptor. if possible sir, can i see your schematic/circuit diagram of your project? or even the thermal printer to ruspberry pi..
the printer is connected to the serial pins on the GPIO header. Have you looked at the picture in paragraph “Connecting the printer” ? That’s really all there is to it. The printer’s RX pin should be connected to the Pi’s TX pin (Pin 8). Also make sure the GND of the printer is connected to the GND of the Pi and that the printer is not powered via the GPIO 5V pin; but straight from the power supply. i forgot to ask, is there a compatibility between raspberry pi 2b and thermal printer? Are all thermal printer compatible to raspberry pi 2b? I could use any suggestion and recommendation from you sir. I only used the Adafruit thermal printer, so I can’t tell for sure about other printers. The one I used though, should be compatible with any model Raspberry Pi I believe. 1. Why do we need the wide lens? 2.Is it required to have the wide lens? 3. If so, where to buy? 1. Just to have a wider view from close up. 2. No, the lens is optional. 3. I think I bought it from Pimoroni. there is or do you have tutorial or may recommend to us, how to install “raspbian-jessie” OS, using only computer windows? Is there a java library of Adafruit for the thermal printer? Because we’re using java in our system. I have no idea. Best is to search the Adafruit website or contact them. But the printer works using a serial interface, so I suppose it shouldn’t be too hard for you to do it in Java ? What kind of serial interface sir? also sir our raspberry pi appear a log-in box when we open it and the account “pi – raspberry” are cant log-in here, can you help us how to solve this problem? one more Question my kivy program is running very good but I got one Problem. I am starting the program after the raspberry ist loggend in with the user pi. On the main Desktop of the OS yessie there is a task bar with the midori, plan signal, time, calendar etc……. when i now start my program on do some touches in the Programm for example on a Button and the button is on that place where on the main screen is the calendar or midori this will also open these programs in the background. Hope you know what i Mean….. the clicks also go out of kivy on the OS. I think I know what you mean, but I haven’t experienced this myself. Have you tried searching around and see if anyone else has similar issues using Kivy ? Where and how do you connect the USB-power to the raspberry? I’m using a 5V/4A DC barrel jack power supply which I split to power the Pi, printer and touch screen with. This covers the 5V/1.5A for the printer, and the 5V/2A for the Pi + screen. I cut a USB cable, kept micro USB on one side to power the Pi, and soldered the cut end to a female DC barrel jack connector. Hi Jaffer, there’s no point in posting the same question twice. This is a hobby of mine and I will try to answer within reasonable time. I suggest you go through some Pi related tutorials first, as you seem to be lacking some (basic) knowledge. Have you used the Pi before? Have a look at https://www.raspberrypi.org/help/ and https://learn.adafruit.com/search?q=raspberry%20pi%20lesson. This should help you forward. First of all thank you for your great documentation of this awesome project. Unfortunately I’m having some trouble with the printed output. The Printer starts printing but fills some lines of it with cryptic letters or something like this: http://i.imgur.com/ODG6zkSm.jpg. It even fills some lines of this inside the picture. The printerexample from ardafruit works fine. The Sudoku example has the same problem as written above. The weather example does nothing at all. I’ve read something about this issue on this forum (https://forums.adafruit.com/viewtopic.php?f=19&t=90832). Their solution was to replace the printer and get a new one from adafruit. Is this the only way or is there a better solution for my problem? Strange characters could also come from the serial console. Make sure that is disabled, as anything happening on the serial console may be printed as well. Just wanted to let you know, what my solution was: I got rid of those strange characters between the picture, just by using a better power supply (5V/5A). Sometimes it’s really that easy. great job! I´m not shure how to install Kivy and your script. Is there a step-by-step tutorial available? Where can I get this file? Or what have I done wrong? Just curious, what are the dimensions (pixels or mm/cm) of the line images? I tried to use one that was 48mm (according to the dimensions in another Adafruit document) but it actually was too short. I’m not sure I understand the question. Do you want to know the resolution of the printed picture? – J’ai acheté une imprimante ADA597 egalement. – Quand je lance les tests fournis avec adafruit ca imprime parfaitement. Pourtant je la redimensionne bien (pas plus de 384px de large) j’ai essayé en la passant en niveau de gris, ou en noir et blanc, pareil. As-tu eu ce genre de problème ? L’imprimante a besoin de 1.5A à elle toute seule, plus au moins 1A pour le Raspberry, 2A sera trop juste. l’imprimante a sa propre alimenation (5V 2A), car je ne voulais pas qu’elle soit partagée avec le raspberry justement. j’ai desactiver les communications sur le port serie egalement. Le GND du Raspberry et de l’imprimante sont connectés ensemble? Si je branche le cable jaune (donnée envoyées a l’imprimante ca peut marcher ? ** Si je branche juste le cable jaune (données) ca peut marcher ? Non, le fil noir doit être connecté aussi. Thanks again for this project. I just noticed, that if you press the print button frequently, a lot of pictures will be printed (of course). I’d like to realize, that if you press a button the software waits, untill the printing is ready. Can you give me some keywords I can google for or a line or command i have to use? As you have noticed, I’m not that good in coding. What you could do, is disable the “print” button after the first press, and enable it again when the “photo” button is pressed. So add the “disable” statement to the pint callback, “enable” to the photo callback function. Aprés plusieurs experimentatoin ca marche enfin (impression de photos) !! j’ai finalement remplacer l’alimentation 5V 1.5Amp par une 9V 2amp et tout fonctionne. Salut, merci pour le partage ! Tu sais combien de photos à peu près on peut imprimer avec cette imprimante, avant qu’elle arrive à court d’encre ? Ça se recharge facilement ? l’imprimante n’utilise pas d’encre. C’est du papier thermique qui devient noir quand il est chauffé par l’imprimante. Donc pas de recharges pour l’imprimante, uniquement le papier! I am building a Photobooth with an DSLR and the Rapsberry Pi 3 (Model B) with the 7″ Touchscreen and i like the idea of the little thermal printer. It’s a very good low cost solution for printing the picture, but don’t spend much money on the printer, the paper or the ink. Do you know if there is any problem or difference by using the Pi3 (Model B) with python 3 and Tkinter for the GUI? For this project it is the first time i am working with the raspberry pi and python. Maybe it’s a bit late to answer you, but I’ve also tried with a Rpi3 B, and one of the big difficulty was trying to have the mini thermal printer work at all. In fact, Adafruit’s library doesn’t work with Rpi 3 B. But I’m not sure if it’ll work with Python 3. So now, my mini printer works with my rpi 3 B, but printing photos really isn’t quite as good as Frederick’s photobooth. I just can’t get it. I’m trying to play with all the printer’s parameters, but untill now, this isn’t working… If anyone has an idea, I’d love to hear it ! Hope this will help, Ben. I find your project and used it to get some inspirations…especially in programming. I used your library to program my own script. It works reliable, but one thing bothers me. Why is the printing process so slow? This is another project, that is very similar to yours. They added flow control for the printer in there library. Is it possible to add flow control to your script, respectively getting the printer faster? I’ll be revisiting the project soon, so certainly something to look into. Unfortunately I came across a little issue. When I try to run the script, (1) there is just a white screen with the two buttons on each site and (2) I get the continuous error message: “Error reading file/home/pi/photobooth/thumbnail.jpg”. This happens because no image file is created. To you have an Idea why this could be the case? Thank you very much in advance and thanks again also for this lovely project! I’ll be retesting the code soon. But be sure to check the camera module is enabled and able to create pictures, using raspi-config.